Down at the Jer-Z Shore! 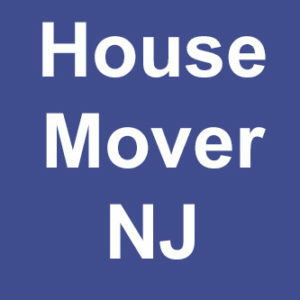 Structural Solutions of NJ is a House Mover NJ. Moving entire houses from one location to another has become so commonplace, you can find stories of such projects from all across the country. Preservationists are right now fighting to save an historic house in Garden City, New York, by having it moved to a new location. This Victorian home is on the National Register of Historic Places, and is one of just 38 houses left designed by A.T. Stewart. However, the home may be slated to meet the wrecking ball. Owners of the 133-year-old home are offering to give it to anyone who can pay to have it moved. The historic Enos House in Santa Marie was moved earlier this year after standing vigil in its original home since the 1870s. The massive Enos Ranchos development is being constructed in the area, but builders were able to salvage the home, which has deep ties to the city’s history. In fact, the house’s preservation comes thanks to the city of Santa Maria itself. Brandt House Movers moved the home. In the case of an historic home that used to belong to Louise Thaden, city ordinances are threatening to block a bid to move the home in order to preserve it. Thaden was an accomplished aviator, and her family owned the home starting in 1919. The home is now owned by former Wal-Mart CEO Lee Scott. Scott hopes to relocate the house, but city ordinances are proving to be a roadblock. He is now petitioning to have the ordinance changed. This is not a big issue in states like New Jersey, where a house mover NJ can usually operate within most town ordinances. An historic, white Victorian mansion on Broadway Road in Dracut could be yours absolutely free – if you pay to move it. Built in 1876 for Milton Fox, it’s considered one of the town’s most significant buildings. That’s not stopping a developer from pushing forward with a plan to construct 45 condos, though, which means if the house is not moved to another location, it’s going to be destroyed. This three-story home is already getting interest from the local community, which would like to preserve it. A golf course being built in Fargo is forcing the move of a 121-year-old home to a city-owned lot. The deal took three years to make and includes getting the home out of a flood plain. The historic home took a good deal of wheeling and dealing to save, and will end up costing taxpayers about $850,000 in land purchase costs and more. The house is being moved to a city-owned lot, which will help preserve the historic property. If you have or know of an historic home you’d like to see preserved, consider contacting an NJ house mover to see if the home can be successfully moved to another location. You may be surprised at what you discover! Copyright © 2019 Jer-Z Times.